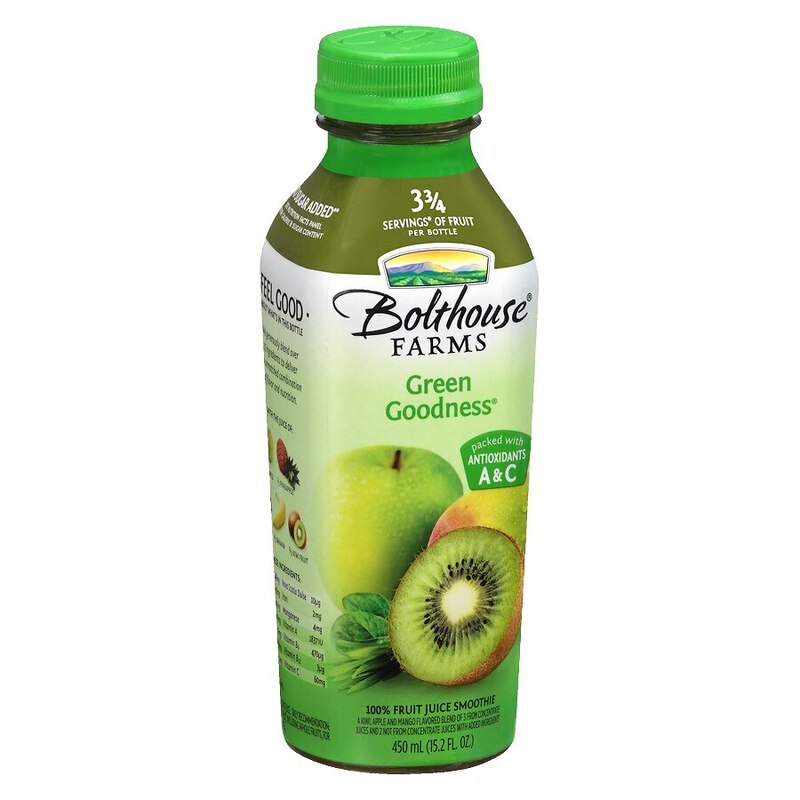 This Green Goodness is a blend of 15 different ingredients including apple, mango, kiwi and (gasp) spinach. Basically, we've blended up a delicious drinkable army of fruits and veggies whose sole purpose is defending your body with loads of Vitamin A, C and B12. Contains the juice of kiwi, apple, pineapple, mango and banana. Added ingredients include spirulina, green tea, broccoli, spinach, barley and wheat grass.